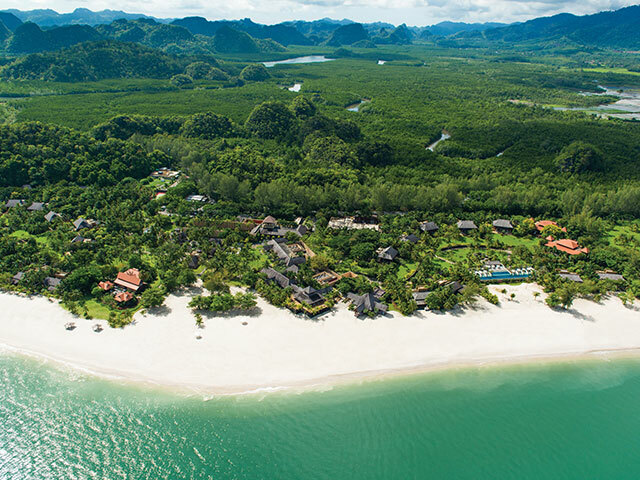 Located in the heart of Southeast Asia's first UNESCO Geopark, Four Seasons Resort Langkawi is a gorgeous natural haven where the rainforest meets the beach (and sea) and where the list of activities are endless. On the surface, it's a beautiful resort facing the Andaman Sea with a mile-long sandy beach - one of the finest in Southeast Asia - and with the towering cliffs and lush rainforest as its backdrop; but beyond that, you'll find there's more in store for their guests. With 91 pavilions and villas in tropical beachfront gardens, there is endless space, privacy and a refreshing view. Like all resorts under Four Seasons, you can be assured that it will meet beyond all of your comfort needs. 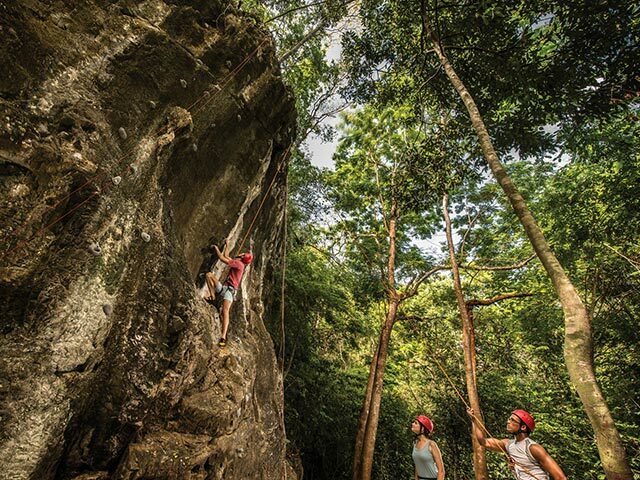 Be it you're looking for a rejuvenating holiday filled with relaxing spa treatments and lazing by the beach or a vacation where you get to fulfil your thirst for adventure, there's a wide variety of activities at Four Seasons Resort Langkawi. Starting with the Geo Spa, an iconic multi-award winner inspired by the ancient energies of the Geopark that offers bespoke natural treatments by ila and using only the finest plant and mineral ingredients produced in harmony with nature and indigenous communities. 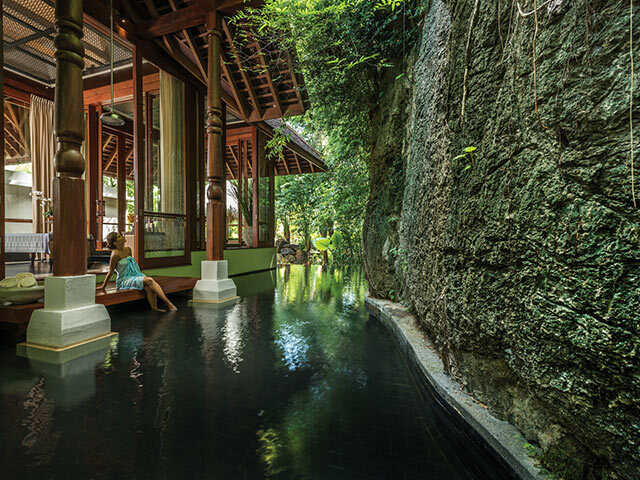 The spa complex itself is quite the sight as it encompasses six 'floating' spa pavilions flanked by towering limestone cliffs. Before commencing your spa session, they will give a complimentary consultation to determine the best treatment for your needs out of their four series: Nourishment (to calm, nurture and ground); Water (to refresh, release and reconnect); Light (to energise and illuminate); and Air (to balance and heal). Additionally, their care for your wellbeing continues in the form of recommendations of programmes, bathing rituals and in-resort activities to participate to maximise the benefits for your body and mind during your stay. 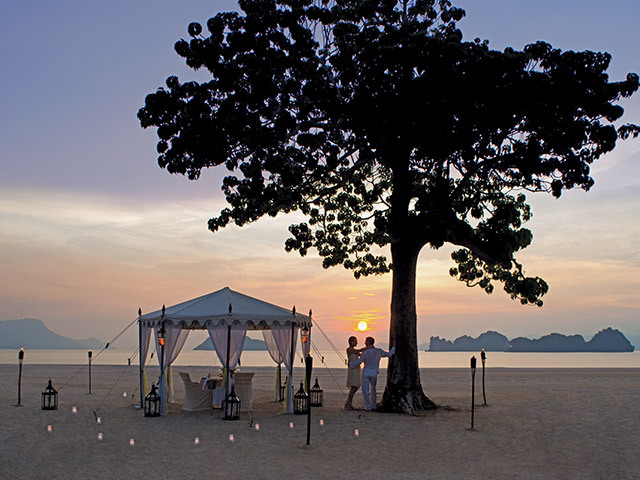 Four Seasons Resort Langkawi is also known for their signature eco-adventures - the 'Mangroves & Eagles Safari'. 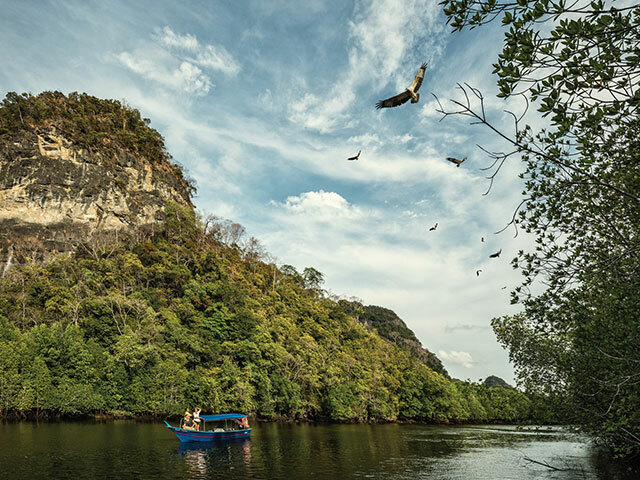 Led by the resort's resident naturalist, the journey will begin with a 15-minute boat ride from the pristine beach and into the mysterious labyrinthine forests of the Kilim Karst Geoforest Park, a surreal maze of limestone cliffs and tangled mangroves that dates over 550 million years old. Here you'll be able to experience up-close encounters with monkeys, eagles and otters, 'walking' fish, tree-climbing crabs and more amazing wildlife - all within the comfort and safety of the resort's boat and with commentary and refreshments included, it's almost National Geographic-like. For the adrenaline junkies, Four Seasons Resort Langkawi offers the usual water sports (jet-skis, wake- and knee-boards, SUP, water-skis, tubes, windsurfs, kayaks and Topcats) and the first in Langkawi that's unique to the resort, X-Jetblades (flyboarding). Don't worry; it's not as tricky as it seems. Most first-timers can actually elevate themselves to at least two to five meters above sea level. If you're not much into fast-paced activities like those, there is also on-site rock climbing station, archery, kite buggies, Skytrex, and many others. Of course, for the travellers who are really just looking for a relaxing time within the hotel, there's the multi-tiered family pool and an Olympic-length adult quiet pool with private cabanas. Once you've worked up an appetite, the three beachfront restaurants will be ready to serve up a wide selection of dishes before you head off to the Middle East-inspired Rhu Bar for drinks, snacks or a game of pool to end your perfect day. 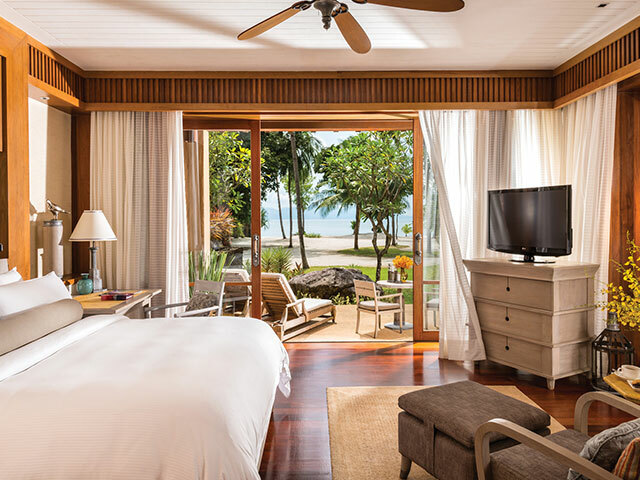 We're giving away a two-night stay at Four Seasons Resort Langkawi in a Melaleuca Pavilion with complimentary breakfast for two including passes to the Mangroves & Eagles Safari and a 60-minute couple's massage. Fill in the form below to stand a chance to win. Following a confirmation email, you will automatically be subscribed to our mailing list.